Background and Objectives: Lactobacilli are used as probiotics, but scientific investigation of such strains is scanty. The current study aims to isolate and identify Lactobacillus strains from curd samples for probiotic characterization and antibiotic resistance determination. Methods and Findings: Ten curd samples (homemade and commercially available) were screened for the presence of lactobacilli, and the isolates were identified by cultural methods, gram-staining and biochemical tests, and thereafter subjected to acid-, bile salt- and sodium chloride tolerance, and antibiotic susceptibility tests. Among 10 Lactobacillus strains, isolated one from each of the 10 curd samples, 2 were found as Lactobacillus fermentum (L. fermentum) and Lactobacillus casei (L. casei), which showed tolerance to bile salts (0.3%), low-pH value of 3, and low level of resistance to all the test antibiotics viz., ampicillin, chloramphenicol, cefotaxime, gentamicin and tetracycline, having MICs 8-32 μg/ml, except ciprofloxacin (MICs 2-4 μg/ml). Conclusion: The findings of the current study meet the criteria, for the curd isolates of L. fermentum and L. casei, as being potential probiotic organisms, and curd, which is one of the highly-consumed dairy products, could be an important source of such probiotic bacterial strains. The isolation, identification and probiotic characterization of lactic acid bacteria, especially lactobacilli, has been emphasized in recent years, due to their multiple beneficial effects [1-3]. Lactobacilli, which are generally recognized as safe, include the most important probiotic strains, and are used in various probiotic dairy products like curd, cheese and yoghurt. Since the probiotic bacterial strains are generally provided with food system and then consumed orally, their passages set up from	the mouth to the lower intestinal lumen, and thus the strains are required to overcome the physical as well as chemical stress conditions such as acid (low-pH) and bile in the gastrointestinal tract for survival, and so as to elaborate the beneficial effect. In various dairy products (cheese, yoghurt and curd) Lactobacillus are grown naturally. Kumar and Kumar  isolated LAB from milk and curd, and identified the isolates as Lactobacillus following morphological, cultural and biochemical characterization. Goyal et al. isolated LAB, from curd samples, which were Grampositive non-spore forming catalase negative strains characteristic to Lactobacillus. Rasha et al. reported the isolation of L. lactis, L. acidophilus and L. casei from different dairy products and found the strains as potential probiotic and safe for human use. Arokiyamary and Sivakumaar  isolated L. casei from diary product, which was able to survive in acidic environment (pH=4 to 6.5). Ali , based upon the morphological, cultural, physiological and biochemical characteristics, identified various Lactobacillus strains: L. helveticus, L. plantarum, L. brevis, L. casei subsp. casei, L. delbrueckii subsp. bulgaricus isolated from traditional drinking yoghurt (Khartoum State, Sudan). Srinu et al. reported the probiotic characteristics of different Lactobacillus strains including L. fermentum and L. casei in terms of various tests together with the acid tolerance and antibiotic sensitivity. The L. fermentum isolates from traditional dairy products were evaluated for probiotic potential and resistance to low pH 3 . However, no report has been made on probiotic characterization with naturally obtained lactic acid bacteria from food sources in our part of the globe, and it is not possible too to extrapolate the specific properties of a given probiotic bacteria and to generalize the same for other strains of probiotic bacteria. Thus, the current study has been undertaken to investigate the probiotic properties (acid, bile and sodium chloride tolerance) of two Lactobacillus strains from locally purchased/homemade curd samples, and their antibiogram. A total of 10 curd samples (homemade and commercially available) were used in the study for the isolation of lactic acid bacteria (LAB). The curd samples (2-5 g each) were transferred aseptically into MRS broth (Hi-Media, India) and incubated for 24- 48 h at 37°C for enrichment of LAB, and thereafter subculture was done by streak-plate (using MRS agar; Hi-Media, India) dilution technique to obtain single discrete colonies, which were stored in MRS agar stabs at 4°C for further use, with eight weeks interval subculture. The isolated LAB were subjected for gram-staining (using gram-staining kits; Hi-Media, India), catalase (using 3% H2O2 on glass slide), oxidase (using oxidase discs; Hi-Media, India) and motility tests; homo-fermentative and hetero-fermentative tests were performed in TSI agar slants as well as in sugar fermentation broth , with durham’s tube but replacing sorbitol by dextrose discs (Hi-Media, India). The non-motile gram-positive nonspore forming rods showing negative test results for catalase and oxidase production were considered as Lactobacillus. The lactobacilli thus obtained were grown in MRS broth at 42°C, and tested further for their identification up to the species level performing cultural, biochemical and sugar fermentation tests following Bergey's Manual of Determinative Bacteriology . In order to study the probiotic properties of the isolated lactobacilli tests for tolerance to bile salt and low-pH (acid), following the protocol of Liong and Shah , and to sodium chloride, following the protocol of Chowdhury et al. , were conducted under atmospheric carbon dioxide, and the experiments were replicated twice, with slight modifications. For the determination of tolerance to sodium chloride the lactobacilli isolates were grown, at 37°C for 24 h, in MRS broth in presence of sodium chloride supplementation (2, 4 and 6.5%). The appearance of lactobacilli colonies on MRS agar plates, following incubation (at 37°C for 24 h) on sub-culture by spot inoculation of the MRS broth cultures, was indicative for sodium chloride tolerance of the test Lactobacillus strains. Acid tolerance of the isolated lactobacilli was determined by incubating (at 37°C for 24 h) each of the strains in MRS broth (Hi- Media, India) at various pH (2, 3 and 4), adjusted with 2% HCl. Inoculation of MRS broth at various pH levels was done with L. fermentum and L. casei strains (10% vol/vol), after sub-culturing at least for twice; acid tolerance was indicated by the appearance of lactobacilli colonies on MRS agar after 24 h of spot inoculation of the MRS broth cultures of different pH condition. The control comprised MRS broth without pH change. The bile salt tolerance of the isolated lactobacilli was determined by investigating the growth of L. fermentum and L. casei strains in MRS broth containing 0.2 and 0.3% (wt/vol) bile salts (Hi-Media, India). For this purpose, sub-cultured lactobacilli were inoculated (10% vol/vol) into the broth and incubated at 37°C for 24 h, and the strain was considered bile-tolerant by the appearance of lactobacilli colonies on MRS agar after 24 h of spot inoculation of the MRS broth cultures with bile salts. Growth of lactobacilli in MRS broth without bile salt was used as control. The antibiotic susceptibility test was performed for curd lactobacilli through the determination of minimum inhibitory concentration (MIC) values, by agar dilution method using approximately 104 CFU of inocula per spot on MRS agar plates, against ampicillin (AM), chloramphenicol (CH), ciprofloxacin (CP), cefotaxime (CF), gentamicin (GM) and tetracycline (TC); the other details are mentioned elsewhere (Mandal et al. . The lactobacilli were considered sensitive, resistant or intermediately susceptible to the antibiotics for MICs <8, ≥8 or >32 μg/ml, respectively . The culture of the isolates on MRS agar without antibiotic under similar conditions was used as the control. The bacterial isolates obtained from various curd samples (a total of 10 isolates, one from each of the samples) were grampositive non-spore forming rods showing test negative results for oxidase and catalase production, and were considered as Lactobacillus. Two, among the 10, showed negative test results for indole and H2S production and citrate utilization, and were designated as Lactobacillus fermentum (n=1) and Lactobacillus casei (n=1) following sugar fermentation test results (Table 1); the strains grew well at 42°C, too. Table 1: Carbohydrate fermentation test results of Lactobacillus species isolated from curd samples. Table 2: Tolerance of curd lactobacilli to sodium chloride, low-pH condition and bile salts. 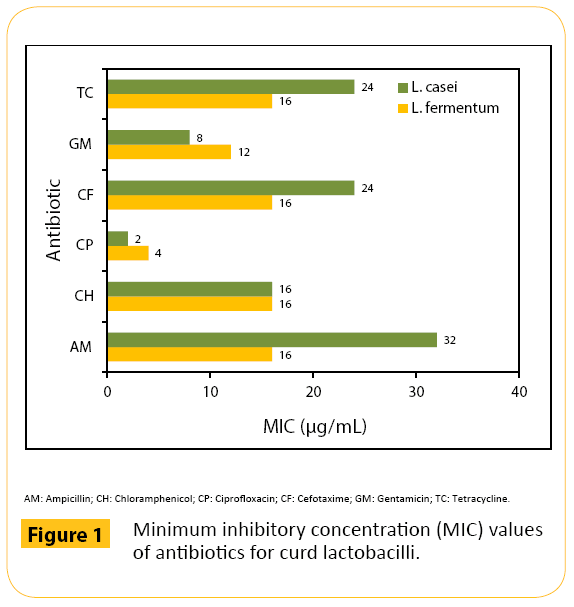 Figure 1: Minimum inhibitory concentration (MIC) values of antibiotics for curd lactobacilli. The curd is known as an excellent choice among the fermented milk product to be used as the source of isolation of probiotic lactobacilli, and is a good vehicle for the delivery of such probiotic bacteria to the consumer. A number of curd lactobacilli including L. fermentum and L. casei have been identified earlier by physiological and biochemical characterization [17,18]. Udhayashree et al. identified chick isolate of L. fermentum by phenotypic characterization. The microorganisms identified on the basis of phenotypic characters and biochemical properties were L. rhamnous, L. plantarum, L. paracasei and L. lactis, isolated from food items, milk products and medicinal capsules . Considering the physiological test results and sugar utilization pattern, a total of 78 curd isolates of Lactobacillus were confirmed to the different species including L. fermentum (6.41%) and L. casei (24.35%), as per the investigation carried out by Bhardwaj et al. . The current study explores the isolation of a total of 10 lactobacilli from homemade and various commercial curd samples, of which two were identified tentatively as L. fermentum (n=1) and L. casei (n=1), following cultural, morphological, physiological, biochemical and sugar fermentation tests, and were evaluated for probiotic characterization. Shah  isolated lactobacilli strains, such as L. acidophilus and L. casei, on MRSsorbitol agar. Probiotic lactobacilli are required to pass through the highly acidic gastric condition of the stomach in order to reach the intestine for residence and functioning, and hence such strains must be tolerant to low-pH conditions of the stomach and resistant to intestinal bile salts for their survival in the digestive system, because viability and activity are important considerations of microorganisms to be the probiotics . The physiological concentration of human bile salts ranges 0.3-0.5% [23,24]. Considering bile tolerance an important characteristic of probiotic microorganisms, it has been reported that 0.3% oxgall closely appropriates the bile level of the human gastrointestinal tract, and the concentration of 0.3% bile salts has been considered crucial for screening and selection of human probiotics [25,26]. However, survival of lactobacilli at pH value of 3 for 2 h and at a bile concentration of 0.1% has also been considered optimal acid and bile tolerance for strains to be used as probiotics . Liong and Shah  stated that resistance at pH 3 has been the standards for acid tolerance of probiotic culture. Among the 19 Lactobacillus strains from samples of traditional dairy products, 7 were able to survive at pH 2 and grew in 0.2% bile salt, as has been reported by Amraii et al. , who based upon the study results concluded that direct screening method with growth inhibition of acid-sensitive lactobacilli could facilitates isolation of potential probiotic strains from dairy products. In the current study, we determined tolerance of L. fermentum and L. casei isolates from curd samples to sodium chloride (2-6.5%; w/v) and bile salts (0.2% and 0.3%; w/v), and low-pH values (2-4), for probiotic characterization, under atmospheric carbon dioxide at 37 °C for 24 h.
The in vitro studies on resistance of lactobacilli, isolated from various sources including dairy products, to bile salts and low-pH have been performed by different authors time to time from different parts of the globe in order to evaluate various characters of potentially probiotic bacteria. The L. fermentum 156 and L. casei 297 strains grew well in MRS broth (pH 2-3.5), while L. fermentum 141 strain survived in the same medium at pH 2-3.5 . The L. acidophilus strains were viable at different concentrations of bile salt and showed maximum growth at 0.2% bile; at 0.3% bile NCIM 2660 strain exhibited weak growth, and at higher concentration (0.5%), both NCIM 2660 and NCIM 2903 strains had negligible growth, and with regards to acid tolerance, the survival rates of all three strains were higher at 2 h incubation period than 4 h at pH 2.5 . The curd lactobacilli strains, such as L. fermentum and L. casei were able to grow at pH 3, and at 0.3% bile salt concentration . The survival of the test lactobacilli strains (L. acidophilus, L. gasseri, L. rhamnosus and L. reuteri) ranged 0.01%-68.3% at pH 3, and 10.3%-57.4% at 0.15% bile salt concentration, as has been reported by Xanthopoulos et al. . The curd isolates of L. fermentum and L. casei, in the present study, showed tolerance to low-pH values (3 and 4) and bile salts (0.2 and 0.3%; w/v), and found luxuriant in MRS broth even after 24 h under atmospheric carbon dioxide at 37 °C. The growth of cheese isolates of L. plantarum, L. casei and L. delbruki were decreased with increasing duration at pH 2, and remained constant at pH 3 . While sodium chloride is growth inhibitory to several other types of bacteria, the probiotic organisms withstand high salt concentration in the human gut . The isolated Lactobacillus strains from yogurts tolerated 1-9% sodium chloride in the MRS broth, and all the isolates maintained good growth up to 3% concentration; growth declined with the increase of salt concentration in the broth . In presence of 2% sodium chloride, the growth was observed for all the lactobacilli isolates (n=78), and with an increase of its concentration to 4%, growth of lactobacilli was observed for 38 isolates; however, no growth even for a single strain was noticed at the sodium chloride concentration of 6.5% . The cross-protection, among lactobacilli, against physical as well as chemical stress conditions has been demonstrated; such as the pre-exposure to bile providing protection against heat stress, and pre-exposure to sodium chloride providing protection against bile and heat stress . The current study demonstrated the high sodium chloride tolerance of curd isolates of L. fermentum and L. casei (Table 2). In the West Bengal state (India) mainly two types of curds (sweet curd and sour curd) are consumed by the people, and in our study two lactobacilli strains were isolated from sour curd samples that generally prepared with a little high salt concentration, and hence the isolated L. fermentum and L. casei strains getting pre-exposed to salts were protected from the stress of bile and temperature (42 °C), and thus survived well in MRS broth supplemented with 0.3% bile salts. The cross-protection phenomena among lactobacilli have also been reported by Azcarate-Peril et al. . The lack of acquisition of antibiotic resistance has been an important criterion in assessing the safety profile of lactobacilli to be used as probiotics , since acquisition of such resistances and their plausible dissemination to the human pathogenic bacteria in the intestine are of great concern . Therefore, it is important to determine the effect on the growth of lactobacilli of antibiotics. The L. fermentum was reported to be sensitive to AM, streptomycin (SM), erythromycin (EM), rifampicin, penicillin, CP, vancomycin (VM), CH, TC and amoxicillin . The L. fermentum 141 strain showed resistance to AM, nalidixic acid (NA), GM and cotrimoxazole, while L. fermentum 156 strain had resistance to the all antibiotics tested except AM, CP and cefpodoxime (CD), and L. casei 297 strain showed resistance to AM, NA, CP, GM, CD, cotrimoxazole and TC . The resistance of L. paracasei to EM, VM, SM and kanamycin has been demonstrated by Rani and Pradeep . The lactobacilli strains having resistance to antibiotics might be useful in co-administration with antibiotics in the treatment of intestinal disorders and/or in preventing antibiotic-induced diarrhea, in situation when resistance genes present in the probiotic strains are silent . The cheese isolate of L. casei had resistance to AM, VM, oxacillin, cephalothin, cefodizime and tobramycin, while the L. bulgaricus isolate from the probiotic dairy product was sensitive to all the test antibiotics including VM . In the present study, the curd isolates of L. casei and L. fermentum were either sensitive (MICs 2-4 μg/ ml) or intermediately susceptible (MICs 8-32 μg/ml) to the test antibiotics; the chances of transferring low level of resistance (intermediate susceptibility) is limited because such resistance is intrinsic and not plasmid mediated, and thus, the strains are safe to be used as probiotics. Taking into consideration of all the findings of the current study it can be concluded that the ability of a specific probiotic strain, mainly for a regional and unanalyzed one, to survive and grow in the harsh environment of the gut is the most important feature pertinent to probiotic strain selection, and this must be checked during selection. The L. fermentum and L. casei isolated from a highly-consumed dairy product, curd, present an immense potential as probiotic for human use, and fresh curd could be an important source of such probiotics as well as a good vehicle for the two lactobacilli strains evaluated in this study. Still, further investigation remains to be carried out for other probiotic bioactivities and safety profile having human health benefits with the test lactobacilli. Singh K, Kallali B, Kumar A, Thaker V (2011) Probiotics: A review. Asian Pac J Trop Biomed 1: S287-S290. Udhayashree N, Senbagam D, Senthilkumar B, Nithya K, Gurusamy R(2012) Production of bacteriocin and their application in food products. Asian Pac J Trop Biomed 2: S406-S410. Chang CK, Wang SC, Chiu CK, Chen SY, Chen ZT, et al. (2015) Effect of lactic acid bacteria isolated from fermented mustard on immunopotentiating activity. 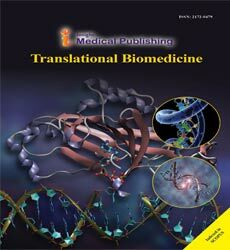 Asian Pac J Trop Biomed 5: 281-286. Kumar D, Kumar D (2014) Isolation and characterization of bacteria from dairy samples of Solan in Himachal Pradesh for identification of Lactobacillus spp. Int J Pharm Sci Rev Res 25: 110-114. Goyal R, Dhingra H, Bajpai P, Joshi N (2012) Characterization of the Lactobacillus isolated from different curd samples. African J Biotechnol 14448-52. Rasha H, Bassyouni WS, Abdel-all B(2012) Characterization of lactic acid bacteria isolated from dairy products in Egypt as a probiotic. Life Sci J 9: 2924-33. Arokiyamary A, Sivakumaar PK (2011) Microbiological and biochemical characteristics of tradition dairy product: identification of dominant Lactobacillus. Int J PharmacBiol Arch 2: 1196-1201. Ali AA (2011) Isolation and Identification of Lactic Acid Bacteria Isolated from Traditional Drinking yoghurt in Khartoum state, Sudan. Curr Res Bacteriol 4: 16-22. Srinu B, MadhavaRT, Mallikarjuna RPV, Kondal RK(2013) Evaluation of different lactic acid bacterial strains for probiotic characteristics. Vet World 6: 785-8. Bao Y, Zhang Y, Liu Y, Wang S, Dong X, et al. (2010) Screening of potential probiotic properties of Lactobacillus fermentumisolated from traditional dairy products. Food Cont 21: 695-701. Mandal MD, Mandal S, Pal NK (2012) Detection of intestinal colonization of probiotic Lactobacillus rhamnosusby stool culture in modified selective media. Asian Pacific J Trop Biomed 2: 205-210. Holt JG (1984) Bergey’s Manual of Systematic Bacteriology, Williams and Wilkins, Baltimore. Liong MT, Shah NP (2005) Acid and bile tolerance and cholesterol removal ability of lactobacilli strain. J Dairy Sci 88: 55-66. Chowdhury A, HossainMd.N, Mostazir NJ, FakruddinMd, Billah M, et al. (2012) Screening of Lactobacillus spp. from buffalo yoghurt for probiotic and antibacterial activity. J BacteriolParasitol 3: 156. Mandal S, Mandal MD, Pal NK, Saha K (2010) Antibacterial activity of honey against clinical isolates of Escherichia coli, Pseudomonas aeruginosa and Salmonella entericaserovarTyphi. Asian Pac J Trop Med 3: 961-964. D'Aimmo MR, Modesto M, Biavati B (2007) Antibiotic resistance of lactic acid bacteria and Bifidobacterium spp. isolated from dairy and pharmaceutical products. Int J Food Microbiol 115: 35-42. Hawaz E (2014) Isolation and identification of probiotic lactic acid bacteria from curd and in vitro evaluation of its growth inhibition activities against pathogenic bacteria. African J Microbiol Res 8: 1419-25. Mishra A, Sharma KP (2014) Isolation and characterization of probiotic microorganism from fermented dairy products. Bull Biosc 5: 10-14. Bayas RL, Gayatri Y (2014) A Comparative study on probiotic organisms isolated from different food and milk products and medicinal capsules. J MicrobiolBiotechnol 3: 42-47. Bhardwaj A, Puniya M, Sangu KPS, Kumar S, Dhewa T (2014) Isolation and biochemical characterization of Lactobacillusspecies isolated from dahi. J Dairy SciTechnol 2: 10-14. Shah NP (2000) Probiotic bacteria: selective enumeration and survival in dairy foods. J Dairy Sci 83: 894-907. PlayneM (1994) Probiotic foods. Food Australia46: 362. Zavaglia AG, Kociubinsky G, Perez PDE, Antoni G (1998) Isolation and characterization of Bifidobacteriumstrains for probiotic formulation. J Food Prot 61: 865-873. Dunne C, O'Mahony L, Murphy L, Thornton G, Morrissey D, et al. (2001) In vitro selection criteria for probiotic bacteria of human origin, correlation with in vivo findings. Am J ClinNutr 73: 386S-392S. Gilliland SE, Staley TE, Bush LJ (1984) Importance of bile tolerance of Lactobacillus acidophilus used as dietary adjunct. J Dairy Sci 67: 3045-3051. Goldin BR, Gorbach SL (1992) Probiotics for humans. In: Fuller R (ed. ), Probiotics. The scientific basis, Chapman and Hall, London, 355-376. 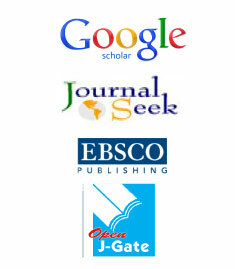 Usman HA (1999) Bile tolerance, taurocholatedeconjugation, and binding of cholesterol by Lactobacillus gasseristrains. J Dairy Sci 82: 243-248. Amraii HN, Abtahi H, Jafari P, Mohajerani HR, Fakhroleslam MR, et al. (2014) Jundishapur J Microbiol 7: 1016-1018. Dixit G, Samarth D, Tale V, Bhadekar R (2013) Comparative studies on potential probiotic characteristics of Lactobacillus acidophilus strains. Eurasia J Biosci 7: 1-9. Xanthopoulos V, Litopoulou-Tzanetaki E, Tzanetakis N (2000) Characterization of Lactobacillus isolates from infant faeces as dietary adjuncts. Food Microbiol 17: 205-215. Hassanzadazar H, Ehsani A, Mardani K, Hesari J (2012) Investigation of antibacterial, acid and bile tolerance properties of lactobacilli isolated from Koozeh cheese. Vet Res Forum 3: 181-185. Kim WSL, Perl JH, Park JE, Tandianus, Dunn NW(2001) Assessment of stress response of the probiotic Lactobacillus acidophilus. CurrMicrobiol43: 346-350. Azcarate-Peril MA, Altermann E, Hoover-Fitzula RL, Cano RJ, Klaenhammer TR (2004) Identification and inactivation of genetic loci involved with Lactobacillus acidophilus acid tolerance. Appl Environ Microbiol 70: 5315-5322. Mayrhofer S, Domig KJ, Mair C, Zitz U, Huys G, et al. (2008) Comparison of broth microdilution, E-test, and agar disk diffusion methods for antimicrobial susceptibility testing of Lactobacillus acidophilus group members. Appl Environ Microbiol74: 3745-3748. Ammor MS, Florez AB, Mayo B (2007) Antibiotic resistance in non-enterococcal lactic acid bacteria and Bifidobacteria. Food Microbiol 24: 559-570. Rani VU, Pradeep BV (2014) Isolation, identification and characterisation of a novel probiotic strain (Lactobacillus paracasei kumbb005) from cow milk samples and its antibacterial activity. World J Pharmac Res 3: 599-612. Hummel AS, Hertel C, Holzapfel WH, Franz C (2014) Antibiotic resistance of starter and probiotic strains of Lactic acid bacteria. Appl Environ Microbiol 73: 730-739. Erdourul O, Erbulur F (2006) Isolation and characterization of Lactobacillus bulgaricusand Lactobacillus casei from various foods. Turk J Biol 30: 39-44.